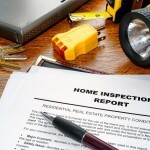 Selling Your House with a Home Inspection - Virginia Home Inspection Inc. This is where having an inspector on your side who specializes in the home inspections will save you money. An inspector can come into your house and go through a rigorous, detailed inspection of your property and discover any problems that might cost you money from a potential buyer. As a seller you want to be prepared for any complications in the sale of your home. Give yourself peace of mind and cover your home sale with a pre-listing inspection. If you are in the Lebanon, VA area or live in Southwest Virginia, contact Virginia Home Inspections. Let the home inspection experts handle your home’s inspection and get started selling your home worry free.